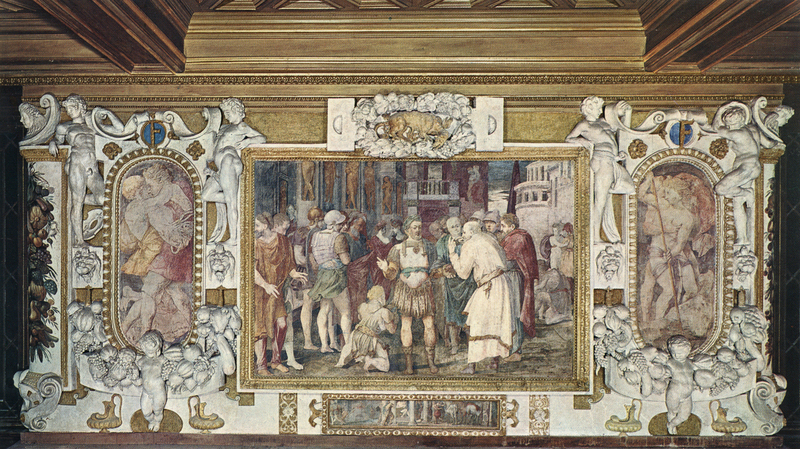 Before c. 1512 In the “Life” of Masaccio, Vasari, 1550, 288, mentions that Rosso drew from the frescoes in the Brancacci Chapel; his name appears in Vasari’s second list of artists who drew from the frescoes that includes Raphael, Granacci, Lorenzo di Credi, Ridolfo Ghirlandaio, Andrea del Sarto, Franciabigio, Bandinelli, Alonso Spagnuolo [Berruguete], Pontormo, Perino del Vaga, and Toto Nunziata. Vasari, 1568, I, 300 (Vasari-Milanesi, II, 299), the same. There is evidence in Rosso’s early Assumption (Fig.P.3a), in his Volterra Deposition (Fig.P.9a), and in his Unity of the State at Fontainebleau (Fig.P.22, VI S a) that he did indeed study Masaccio’s paintings. Among the numerous early sixteenth century drawings in various collections that are copies of Masaccio’s frescoes it may eventually be possible to recognize Rosso’s very youthful hand.1 He may well have drawn from Masaccio’s frescoes before the time that he worked on the predella of Sarto’s San Gallo Annunciation of around 1512 (see L.2). 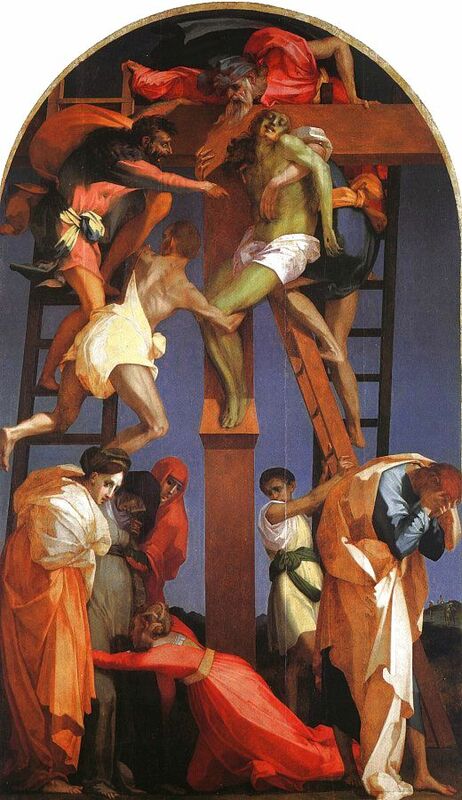 1 Falciani, 1994, 23, n. 30, continued to give the Copy of a Figure in Masaccio’s “St. 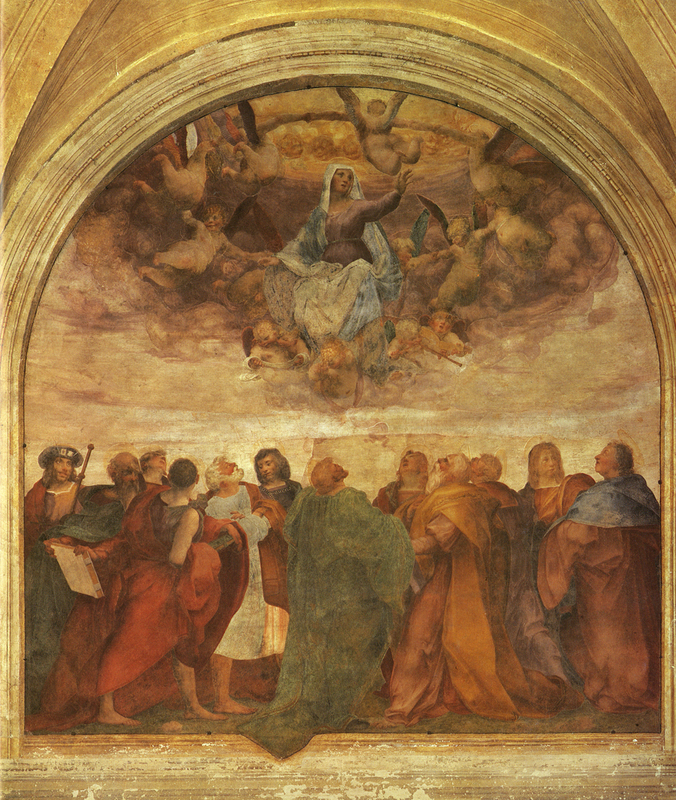 Peter Baptizing the Neophytes,” Naples, Capodimonte, Gabinetto dei Disegni, no. 783 (Fig.Bandinelli, Naples), to Rosso, but this seems to be a very early drawing by Bandinelli (see Carroll, 1964 , II, Bk. II, 497-498, F.41, with bibliography, 523-524, Fig. 193, as Bandinelli, around 1512, the attribution accepted by Ward, 1982, 321-322, no. 251, Fig. 4, and Ward, 1988, 23, under no. 15).